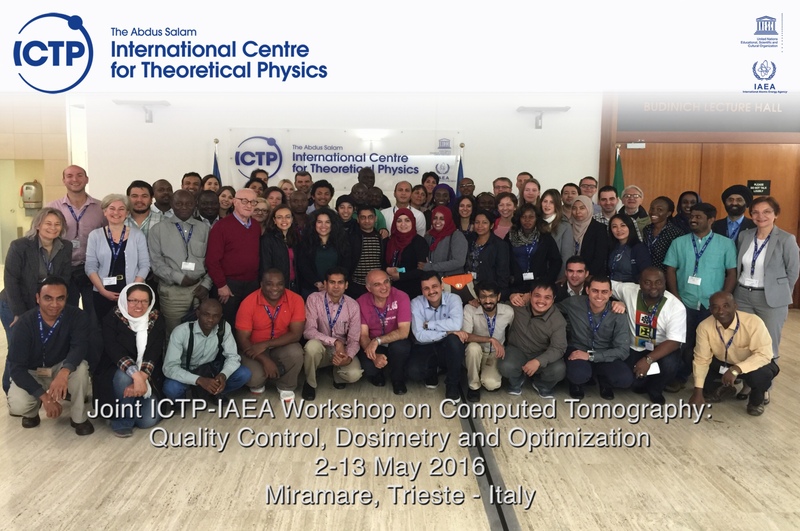 The purpose of the workshop is to exchange advanced knowledge on the physics and technological innovations in computed tomography (CT), procedures for quality control and dosimetry. The optimization strategies, aiming to achieve diagnostic image quality at lower radiation dose, will be also extensively discussed. Achieving good image quality at lower patient dose became of high importance in the last decades with the new technological development and especially when new generations of multi-detector CT became widely available. The improved diagnostic accuracy and shortened scanning time in CT lead to the global increase of the number of CT examinations, both for adults and children. As noted by UNSCEAR (2008), “the increasing trend in annual CT examination frequency and the significant dose per examination have an important impact on the overall population dose due to medical examinations”. CT is already the main contributor to the effective dose from medical exposure, estimated to contribute to 43% of the total dose to the world population. CT imaging is currently an important component, not only in diagnostic radiology, but in all disciplines of radiation medicine. CT has evolved from standalone techniques to combined imaging, used together with single photon emission computed tomography (SPECT) and positron emission tomography (PET) in hybrid systems. In radiation therapy, CT imaging is an indispensable tool for the accurate treatment planning. While CT is an established technology and modern CT systems are being installed worldwide, there is a significant shortage of clinical medical physicists specialized in the field of diagnostic radiology that are able to adequately support this technology. Because of the rapid technological development in CT, keeping up to date knowledge of clinical specialists is a challenging task. Optimization of CT is a complex and multidisciplinary task, requiring deep knowledge of technology, technical factors affecting image quality and patient dose, clinical purpose and required image quality. Medical physicists are responsible for quality control and dosimetry, and have an important role in optimization of clinical protocols. This workshop under the umbrella of ICTP and IAEA is expected to contribute to strengthening the qualification of medical physicists working in CT. The workshop will assist in the development of networks of professionals working in CT from different regions.